The training management and employment boost models hold by ONCE and its Foundation (on top of their social companies ILUNION) supported by the co-managed investment from the European Social Fund (ESF) have managed to boost over 60.000 job opportunities for people with disabilities in Spain during the past 15 years. 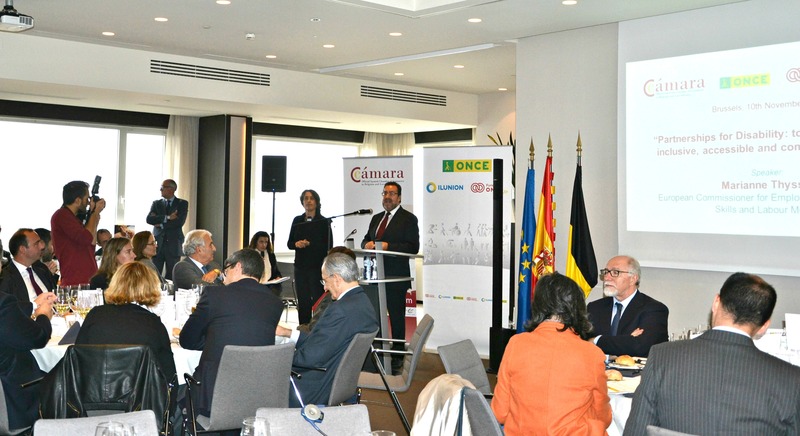 These data were presented today by the President of the ONCE and its Foundation, Miguel Carballeda, to the European Commissioner for Employment, Social Affairs, Skills and Labour Mobility, Marianne Thyssen, during the luncheon-debate organized by the Official Spanish Chamber of Commerce in Belgium and Luxembourg for a hundred businessmen and European Community authorities. 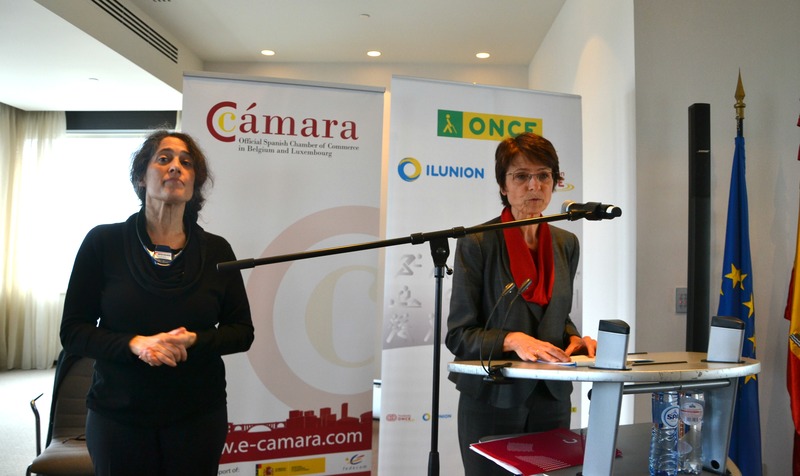 Carballeda explained how the organization works to achieve “a more inclusive, accessible and competitive Europe”. He emphasized the need to keep building “partnerships for disabilities” from which over 80 million citizens within the EU benefit, four of them living in Spain. “We highlight in Brussels the value of disability and of people with disabilities to prevent them from being put at risk” he said. Commissioner Thyssen, who visited ILUNION in Madrid a few months ago, explained how the European Social Fund has become a “catalyst” to invest in inclusion and support those social groups that are disadvantaged. She valued the transnational initiatives that took place in Spain and she emphasized the work of ONCE and its Foundation and its capacity to bring together “relevant actors beyond their own boundaries”. 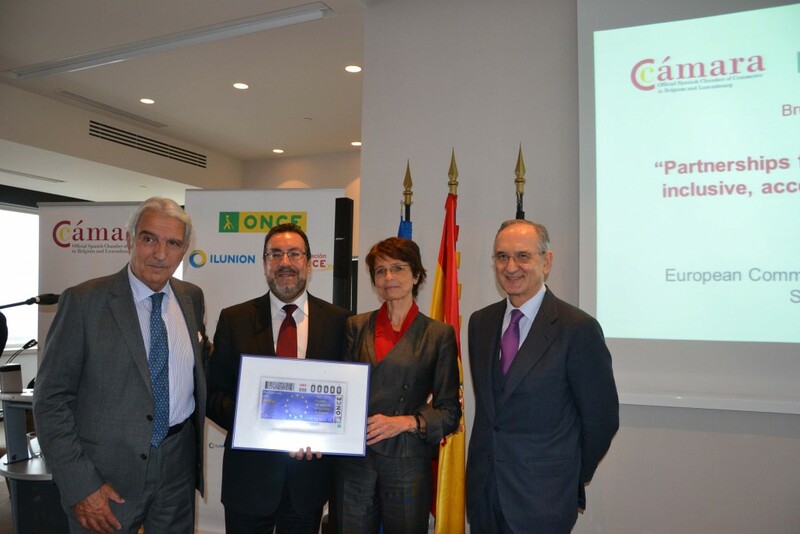 Thyssen shared the ONCE and its Foundation´s point of view, wishing to “end the charitable approach that exists towards disabilities” and assured that the work of the Organization and its social companies ILUNION are “a source of inspiration and an example to follow by the Community policies for people with disabilities”. 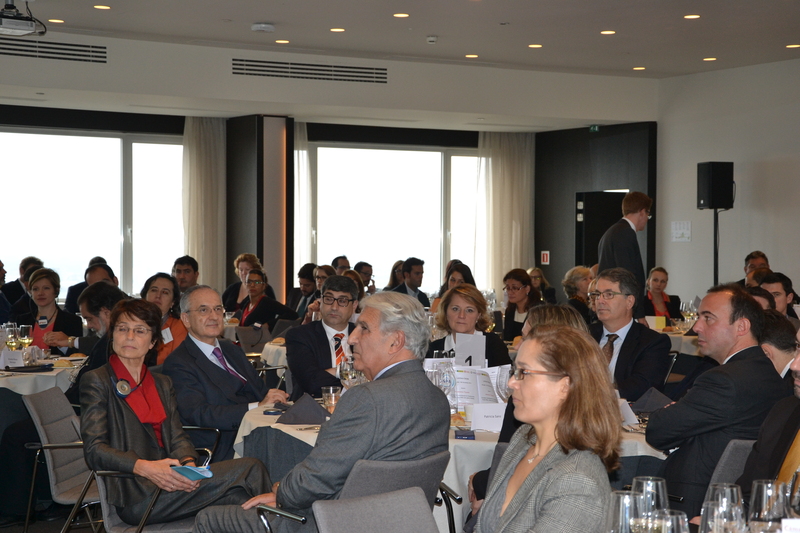 “Together we will make a more social and fair place of the European Union” she concluded. Alberto Durán, Vice-president of the ONCE Foundation, highlighted the “solid” partnership they have with the European and Spanish authorities, as manager of the operational programs of the European Social Funds, particularly acting as intermediate body of the Spanish Operational Programme “Fight Against Discrimination”, which allows to boost “cooperation networks for employment and training with other public and private agents in Spain and Europe”, strengthening ESF´s work. 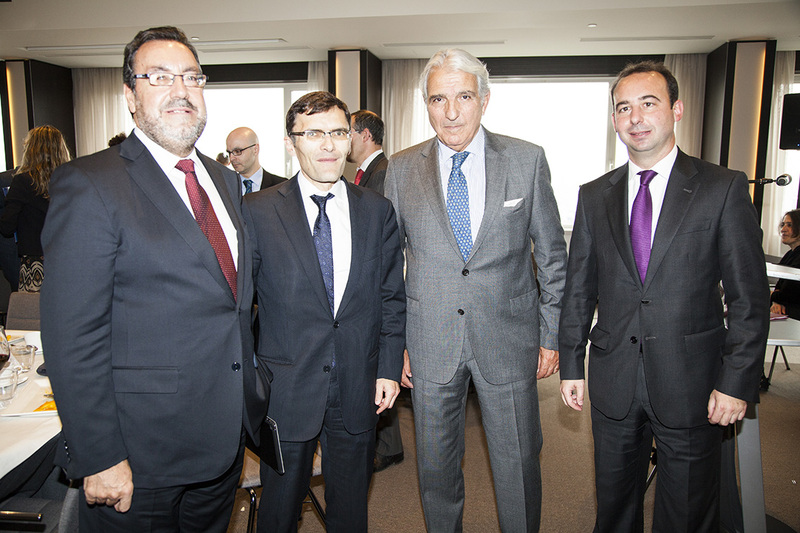 Durán noted before Thyssen how the partnership´s model “multiplies” the positive effects of the European funds for people with disabilities. In fact, over 230,000 people in Spain benefited the last 15 years of the different training programs, 60,000 of them obtained a job, “half of them being women with disabilities”. Furthermore, the management of these funds of ONCE and its Foundation made Disability a relevant topic in the European agenda, within diversity management, inclusion and corporative responsibility, aspects to which he committed the efforts of the Organization “now and in the future”. “We want to contribute to the fact that Spain will be a reference in this chapter, but above all, we offer our support and experience to all of our European colleagues, to demonstrate that the talent, the spirit of improvement and enthusiasm of the people with disabilities transcend borders and it is an essential contribution for building a smart, sustainable and inclusive Europe, ” he said. 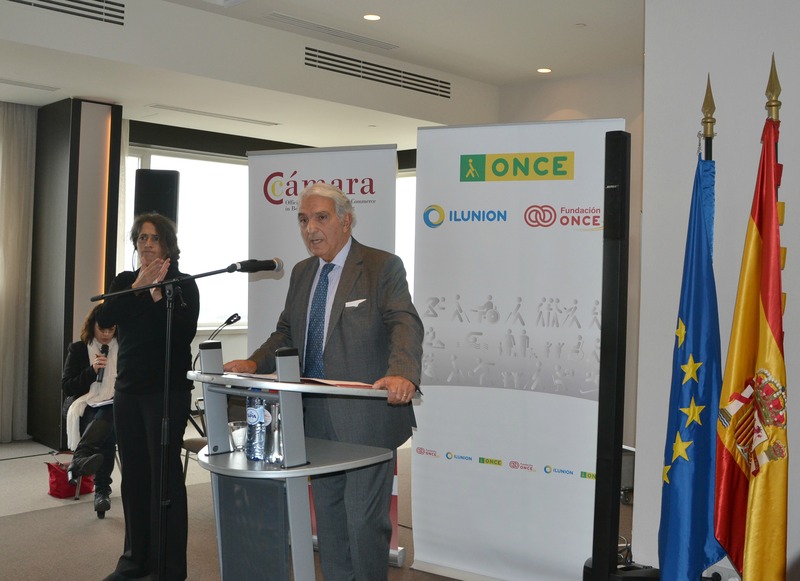 The ONCE and its Foundation took advantage of the event in Brussels to release the traditional advertising campaign of social awareness about people with disabilities in the European capital, which often coincides with Christmas time. 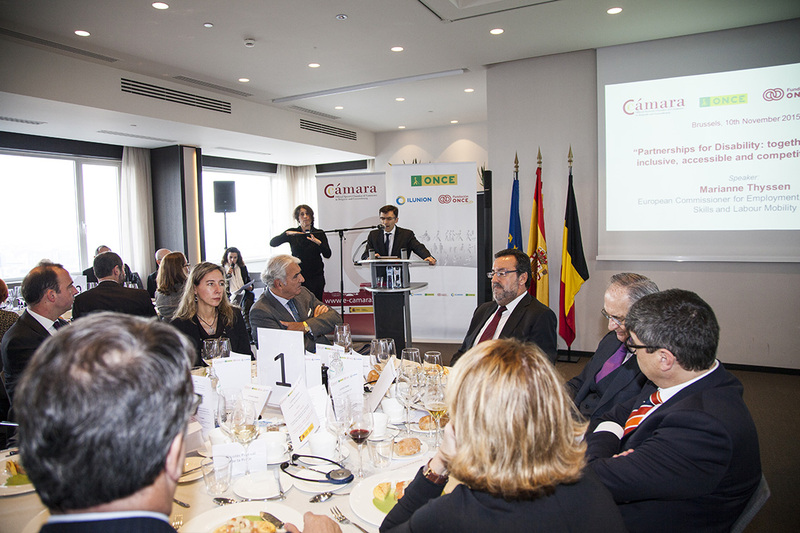 On this occasion the topic precisely has the value of the 15 years of partnership with Europe and the jobs which it has allowed to boost, such as “life opportunities to those who will have more difficulties”, in the words of Miguel Carballeda. In the campaign, the protagonists are people with different kinds of disabilities who have found an employment and show their daily life at work. This way, it can be seen how the laboral integration is but, above all and being the most important thing, how social inclusion is in the working groups, with colleagues, showing that they can contribute more together to the companies and society in general, with the slogan “On the right path”. The whole day, the delegation of ONCE and its Foundation also celebrated a meeting with Juan de Arístegui, Permanent Representative Ambassador of Spain in the EU, who knew and appreciated all of them, among other meetings of interest with MEPs and representatives from the European Commission.